Today (Boxing Day) has been all about sale shopping for me and I'm really pleased with the bits and pieces I picked up mainly from Boots & The body Shop and I will be blogging about my Boxing Day sale bargains soon! Okay, so now lets get on to the exciting blog news! I've decided it's time to do another giveaway as my blog has just turned one and I have well over 200 GFC followers and a whopping 400 Bloglovin' followers! I am super duper pleased about this as I'm sure you can imagine! During 2014, I'm going to be blogging more often and I'm also looking forward to continuing chatting with and getting to know more of my fellow bloggers and readers better! 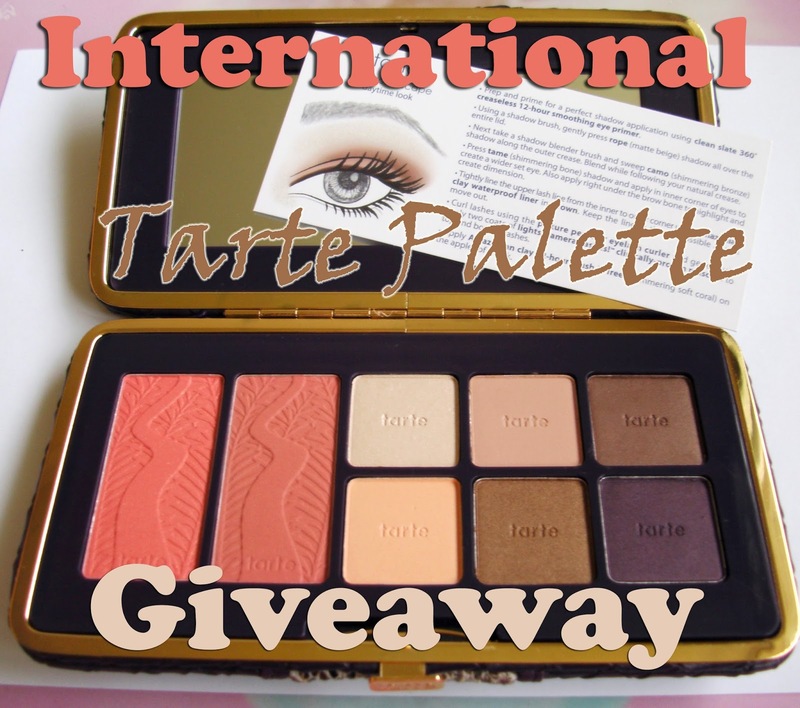 So, the item I'm going to be giving away is this gorgeous Tarte Amazonian Clay Eye & Cheek Palette from Rose's Beauty Store. The Palette costs a whopping £42.99 (GBP). It is a beautiful palette and even the packaging is simply stunning! I recently reviewed a similar palette from Tarte and was really impressed (you can find my full review here). To enter, please use the Rafflecopter widget below and follow the instructions / rules! #simples! Thank you for entering and once again, GOOD LUCK!